As Real As It Once Was! "Many Thanks from Caesare show and Staff. I want to thank each and everyone of you for your support in the past years. This up coming year is going to be the best year yet!" Sonny West Elvis' Bodyguard And Lifelong Friend: "Caesare musical tribute to Elvis is just Amazing! You've never seen anything like it." Jerry Schilling Lifelong Friendship with Elvis Presley: "Eternally Elvis In Concert is NOT just an Elvis Tribute....it's literally an Elvis concert. Caesare's has inherited the throne!" Scott Moore Legendary Guitar Player for Elvis: "Caesar Belvano is a fine performer, respectfully re-creating a Tribute to my friend Elvis. But most of all, keeping the music alive"
Lamar Fike Lifelong friendship with Elvis Presley: "Perhaps the World's Greatest...The King would be very proud of this incredible tribute!" J.D. Sumner of The Stamps Quartet "Caesar is simply Amazing, it would be impossible to find anyone who could do it better"
Charlie Hodge lifelong friend and band member of Elvis: "I have seen and worked with alot of Elvis Tribute Artists and Caesare has a great look and an incredible Elvis style voice." Sherrill Shaun Nielsen, Elvis' Tenor Singer: "Singing and working with Caesare Belvano is the closest I'll ever get to reliving the magic of Elvis Presley on stage all over again. Caesare is truly an outstanding performer." Wayne Carmen lifelong friend and karate training partner: "Caesar is a talented and genuinely dedicated Elvis Tribute Artist who brought the music and the image of "The King" vividly back to life." Sam Philips lifelong friend and owner of Sun Studios was vital to launching the careers of Elvis Presley: "Caesar is a real fine descent young man and is a true Elvis Tribute Professional. He brings honor to the man and his music." Ronnie McDowell "With all that Caesare has going for him, he's the best Elvis Tribute Artist you will find." D.J. 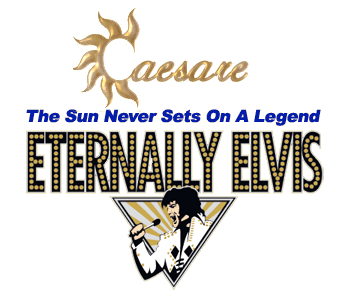 Montana Elvis' original drummer: "Caesare's on Top! He is the finest gentleman I have ever worked with. He looks great, sings great and does a fantastic tribute to my friend Elvis Presley." Joe Esposito Lifelong friendship and road manager with Elvis Presley: "Caesar is truly one of the great ones!" Gordon Stoker of The Jordana ires "We've seen a lot of Elvis Impersonator shows, Caesar's is respectfully recreating a musical tribute to Elvis Presley. I agree with Terry Blackwood, Caesare is the closest to the king." Ed Enoch of The Stamps Quartet Elvis called him the greatest voice in gospel music: "Caesar is a professional singer that brings respect and honor to Elvis' image, his music and his legacy." Terry Black wood of The Imperials Quartet "When you see and hear Caesar perform on stage, he is no doubt the closest to the king." 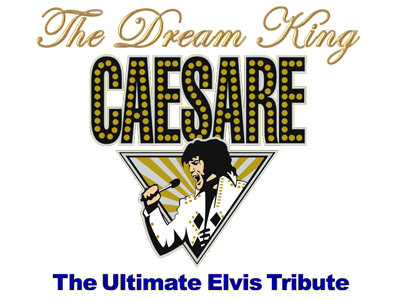 Mike Trivisonno WTAM 1100 News and Radio "Caesare Belvano is a Terrific Elvis Tribute Artist!"